Hello guys. i decided to give you this tutorial to flash android roms on hopeless hd2's. Hopeless = Devices with broken usb, devices with broken volume rocker, devices with broken power or call button. USERS WITH WINDOWS MOBILE, and HSPL, and BROKEN USB; if you want to get back to stock, NEVER flash stock wm rom, just custom wm rom from sd card, as stock WILL remove HSPL and ANY CHANCE to install CUSTOM roms or bootloaders again. BEWARE. This guide is devided into many sections, each one regarding a specific problem. if you have one of these combinations, then it's theoretically not possible to flash android on HD2. See section 7 at the end for possible way to get android. If you don't have any of these combinations, then you may be lucky enough to get android running on your phone. if you DO have one of those problems, you may be able to do it. read the whole steps to get an idea if there's something broken you need to use to flash android. We assume you have hspl installed. grab black clk bootloader from here:http://www.mediafire.com/?nhyausx0p5whu#tzg7whl9wwaih from compiled test versions, the 3 ones at the bottom. choose the one with the recovery that fits your needs. copy file to the root of your sd. sd card should be at maximum 4gb (as safely reported), and formatted to fat32 partition. 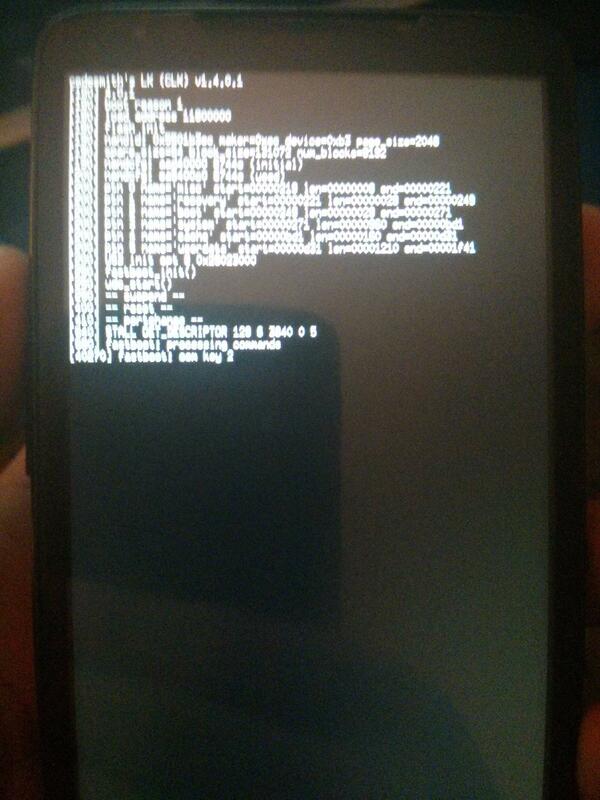 turn on your phone in bootloader (HSPL) mode, by holding volume down button and inserting battery. make sure the sd card is there. grab black clk bootloader from here:http://www.mediafire.com/?nhyausx0p5whu#tzg7whl9wwaih from compiled test versions, the 3 ones at the bottom. choose the one with the recovery that fits your needs. open the nbh file from the zip you downloaded. This one is a bit tricky. it requires having already clk, or windows mobile. assuming you have clk bootloader preinstalled or windows mobile, do the same as section 4.
if followed instructions, it's easy to flash android now. you will need to enter clk bootloader by holding back button. once in there, plug-in usb, make sure you have fastboot drivers installed, and proceed. each key has a command to use it. EDIT: just realized holding the back button is after you flash cLk , so i cant get into bootloader without volume buttons , what do ? EDITEDITEDIT: now im stuck in recovery , but its all text ? help ? EDITx4: i took the battery out and held the home button intill i got into clk , then it booted into recovery ! btw, this is an excellent write up, since the HD2 is aging .. This is NOT the recovery, this is cLK's User Interface. From there, you get to flash the recovery, resize partitions or reboot into recovery/bootloader again by using fastboot commands. Edit: just thought I'd mention that as I have been operating my HD2 without USB for quite a while that I find the app "WiFi adb", among others, indispensable.